not just one aspect of it, but the world as a whole. Process Theology integrates religion and science in a way that respects both disciplines as valid ways to relate to the world – and to each other. * The world and God are expressions of continuous change, which is dynamic and relational. * We and the world are not solid substances, but recurrent patterns of energy; we change continually, but also maintain continuity from moment to moment. * To exist in this world is to be self-determining, interconnected, and creative to some degree. * We relate to each and all creation instantaneously and intuitively, responding to the decisions of others – and to the events of the world around us – even as we ourselves are re-created in each instant. * We are interconnected, each to each and each to all. Therefore, all creation has value and dignity. * God is the One who makes all relationships possible. God creates the openness of a future of real novelty and the variety of its possibilities, and God relates to each of us in our particular individuality. * God’s communication with human beings is a living, growing process. Therefore, God’s revelation is relational, ongoing, and continuous. * God’s revelation calls us to make decisions which will maximize justice, compassion, and love. * God’s primary mode of power is persuasive, not coercive. Therefore, we too are called to be persuasive, not coercive. * God is the One who invites us – and empowers us – to make the best decisions for our personal flourishing and for our mutual flourishing. * God invites us – and everything in the cosmos – to be co-creators in fashioning the present, out of the possibilities offered by the future, and out of the constraints imposed by the past. * Commitment to this creative process requires faithfulness, which rises above any faith (doctrine or creed). Process theology derives from process philosophy. Process theology derives in particular from the philosophy of Harvard professor Alfred North Whitehead. Whitehead asked, “What is reality made up of?” The standard answer is things – chairs, tables, books, living things – plants, animals, people. What are these things made up of – substances (stuff). This stuff can change into other kinds of stuff but endures through time. Whitehead says, in contrast to this picture, that everything is made of experience – in fact single moments of experience (drops of experience) that succeed one another. What is a moment of experience? It’s an event – something that happens. This is reality – events. The universe consists of events which come into existence, last for a moment, and then pass out of existence.……..becoming. 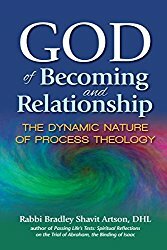 Process theology is thoroughly relational. Whitehead believed that many of the great conundrums of modern philosophy and science could only be solved if one accepts the belief that all existing things are internally related. If you draw two dots on a piece of graph paper, they are externally related; their relationship is relative to the piece of paper on which they are both located. By contrast, each child is internally related to her or his mother. Not only was she once a part of her mother’s body, but she has internalized many features of her mother’s personality, her mother’s beliefs, and her mother’s reactions to the world. Our mother is a different person from ourselves (though it often takes many years to realize this! ), but key features of who she was have now become a part of who we are. What is the role of God in all of this? Whitehead proposes that, at every moment of our lives, we are improvising responses to given situations, adding our own voice to the very history of the universe. Other creatures are doing this, too. We live in an improvisational universe, in which indeterminacy is as real, and as important, as determinacy. God is the guide and direction of flourishing for all creatures. Faith, faithfulness. Related to the word Amen. Law and observances for the whole legal system of Judaism. Derived from the Hebrew word halach – to walk – so it really means how we walk in this world. Still, small voice – we think of this as your inner voice, your soul/God speaking. Doorpost, or a case containing Scripture affixed to a doorpost as a literal interpretation of Deuteronomy 6:9. Prayer assembly, or the quorum required for prayer. A homiletical interpretation of – or a commentary on – a Torah text, sometimes in the form of a more detailed Rabbinic story about a story in the Torah. The word derives from the verb darash, when means “seek” or “inquire”. Collections of midrash often give varied – and sometimes conflicting – interpretations and present them side by side, inviting the reader to derive meaning from all. The written summary of the oral Torah, i.e. the orally transmitted laws and ethics based on Scripture, c. 200 CE. The Mishnah makes up one strand of the Talmud. Prayer boxes worn during weekday morning prayers by those who observe this practice. These are worn by all denominations of Jews, if that is their practice, including women. The practice is based on a literal interpretation of Deuteronomy. The Hebrew Bible – Torah, Prophets, Writings. which is the order the Hebrew Bible follows. Self-contraction; God contracted the Divine self to make room for creation. This is how God’s name is written throughout the Torah: Yud, Hay, Vav, Hay. This is the unpronounceable, unknowable Name of God. It may be based on the verb “to be”, combining past, present and future. Eloha – seemingly feminine word for God, rarely used. Instead, Jewish tradition tends to use Elohim, a male plural form of the same word. 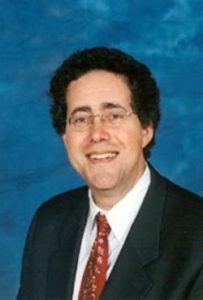 Rabbi Artson describes a modern playful combination of this word with the word for “mommy” – Ema – Elohema. Aspects of God: In Kabbalistic thought (Jewish Mysticism) there are ten sephirot – aspects of the Divine. Hokhmah means wisdom; Binah means discernment or insight. Many thanks to Elaine Goodman (member of St. Benedict’s), and to Rabbis Linda Bertenthal (of Congregation Beth David) and Janice Mehring (of Congregation Ohr Tzafon) for compiling this glossary of Hebrew words. In Process theology God is dynamic, creation is continuing, reality is relational. Although the world may seem to be filled with independent substances, the whole cosmos is actually interacting, always dynamic, constantly in process. In Process theology God is not distant from this process, watching from afar, but intimately involved, connected, and relating. Text study: What has “covenant” always meant to you? Has your understanding expanded through this discussion? Through our choices, we are always becoming. In every moment, we are coming into being again and again; we’re always facing possibilities, from which we have to choose. We make our choices from our particular context (which is the sum total of our previous choices, and the sum total of the world’s previous choices). Yet the future remains open to decisions we have yet to make – which means that freedom is an inherent quality of the world. The cosmos is a partner with God in its own becoming. In every moment, God is offering us choices; after we make a choice, our decision not only affects us, but affects God and God’s consequent nature. Then God holds out another choice to us, which we are free to take or free to reject – and then God meets us in the next choice with the next possibility. Because the future is still open, God doesn’t and can’t know the future. Monopolarity: Nevertheless, dominant Western theology has taught that God is monopolar (if God is simple, then God cannot be complex; if God is eternal, then God cannot be dynamic; if God is perfect, then God cannot be changed by relationships with creation). Jeremiah 23:23: Am I only a God near at hand – says the Holy One – and not a God far away? If a person enters a hiding place, do I not see him? – says the Holy One. For I fill both heaven and earth – declares the Holy One. Isaiah 57:15: For thus says the high and lofty one, who inhabits eternity, whose name is Holy: I dwell in the high and holy place, and also with those who are contrite and humble in spirit; to revive the spirit of the humble, and to revive the heart of the contrite. What kind of God do you find here? In Process theology, God’s power is persuasive, not coercive. This means that God does not break the rules to force a desired outcome, but works in, with and through us. God and law: Whenever we talk about God’s might, we must also celebrate God’s willingness to live within law. God does not break the laws of physics, chemistry, biology, or morality. God establishes these laws and works within their limits. The lure and choice: God also works at every moment for the best possible next step, through the lure that invites our next choice. We have the opportunity and freedom to decide whether to take that step or not. When contemplating the possible origins of the universe, Process theologians offer explanations based on science and human reason. But neither theologians nor scientists can step outside the cosmos to prove or disprove theories about creation. Instead of thinking of creation as ex nihilo – out of nothing – most Process theologians understand God as the organizing force of an eternally existing reality. Artson writes, If we approach this text through the dominant understanding of God – God as omnipotent, eternal, and impassive – we are forced to think of the Beginning as an effortless, spontaneous moment that produced everything that exists today. But when we go back to the text, it shows us the unformed and void darkness (tohu va-vohu) that already existed when God began creating. God’s creating is a process of mobilizing continuous self-creativity from within, and that bubbling, irrepressible depth remains the source of self-creativity, potentialities, and resistance to all imposed power. Do you use the “5 Ms” to find meaning in life? In Scripture? In Process thought, every moment is a moment of creation. This richer view of continuous creation… is also reflected in Jewish sources. Genesis begins with the word breishit: “When God began to create heaven and earth…” When God begins to create, chaos is already there; then God begins to speak the chaos into increasing order and diversity. By the end of the first chapter of Genesis, God has spoken creation into a symphony of diverse becoming. The lure: At each stage of the process, God turns to creation itself and issues an invitation, a lure, saying: “Let there be…” Here God is inviting creation to be a co-partner in the process of creating – summoning, inviting the sun, stars, and planetary objects into becoming. Creation, then, is the process of God luring emergent being into order, abundance, diversity and goodness. Individual scientists have strong preferences, but science as a whole does not definitely weigh in on this issue. The eternal inflation theory asserts that our space-time bubble is located in a cosmic “sea” – sometimes called the superuniverse, the multiverse, or the meta-universe. Within the eternal inflation, only quantum rules govern, although on rare occasions due to long-shot quantum odds, exceptional space-time bubbles emerge into being. Within each bubble there is a coherent space-time, and we live in one such bubble…. The big bang theory starts with the instant in which space-time exploded into existence. The Big Bang itself is held to be inexplicable; the regularities of physics fail as we move back in time to the singular moment itself. These theories may be disturbing to people who have read the Bible exclusively through dominant theological lenses, but Jewish traditional voices provide the resources to accommodate both. Process Theology saves us from having to weigh in beyond what we can know. God may be the One who creates everything out of nothing, or God may be the One who creates order out of eternity and infinity. We can indulge in a little bipolarity here, rather than asserting a false certainty. Instead of creating a false dichotomy between the two plausibilities, we can embrace both understandings as useful metaphors to orient and motivate ourselves within the cosmos. In Process Thought, much of what we understand to be evil is seen as the very source of dynamism and life: events that are disasters for some are sources of emerging novelty and development for others. So the process of evolution is driven precisely by a tension between limits, on the one hand, and possibilities, on the other. We cannot have one without the other. Process theology offers two possible understandings of evil; both face the tragic nature of evil directly and affirm the innocence of those who suffer. One Process approach addresses suffering and evil as that aspect of reality not yet touched by God’s lure, or that part of creation that ignores God’s lure. Most human suffering is not divine punishment or test, but the result of three broad realities of life. 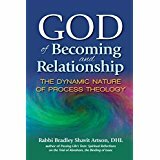 Process Theology opens our eyes to a view of God as relational and loving. The dynamic, ephemeral nature of becoming, the competing lures that tempt us and distract us from God’s lure, and the consequences of our choices on others and ourselves – these are all sources of suffering and evil. Process Theology allows us to recognize their sources within the natural world, and not as the judgment or punishment of the Divine. In turn, this realization allows us to continue to perceive God as our ally and source of strength in times of tribulation. When you have you found God to be your source of strength? What favorite texts help you in times of tribulation? Understanding God as the pervasive creativity and novelty that permeates all-becoming invites us to stop thinking about the status of evil and to focus instead on how we work for justice, well-being, and compassion. Tikkun olam (Hebrew for “world repair”) has come to connote social action and the pursuit of social justice.